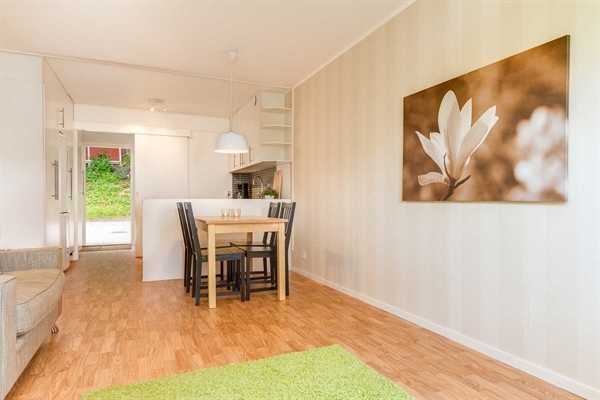 Our goal is to offer a price worthy, practical and pleasant short- or long term living, for personnel that are temporarily stationed in Sandviken or Gävle with surroundings. At Nordicbo, we can offer a cheaper and pleasent alternative to hotel stay. With us you can safely stay for months or one or more weeks. Our apartments are the perfect business accomodation in Sandviken. With us you'll find great apartments with tasteful interior, for living during the period of your choice. Our apartments are adapted for purely company living. You can find us in central Sandviken (Sanderängsgatan), 300m from Sandvik AB. Nordicbo business accomodations includes 39 identical apartments of 30m2. Our apartments includes a satisfactory kitchen and a bathroom with shower cabin or bath tub. Iron and ironing board are obtained if needed. Every second week floor surfaces and bathrooms are cleaned in the apartments. Superior. Prices for our new business apartments: from 3450 SEK/week/person (excl VAT 12%). Three nights from 2700:-/pers. With us at Nordicbo you have great possibilitys to a healthy living even though you're not at home. The access to refrigerator in the room and the well equipped kitchen gives you the possibility the prepare the food you want and need. Laundry room with dryer, access to jogging tracks and fitness facilitys nearby, brings you all the possibilitys to train and exercise. You will sleep well in our beds and feel well rested once waking up! All common activities for the accomodations promotes good choices for the environment and lines with our environment policy. At the business accomodations in Sandviken, you will also find a map with information about great restaurants, cultural activitys, possibilitys to travel with public transport etc.